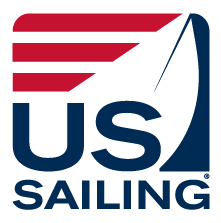 US Sailing, in partnership with the USOC, is working towards full participation in the SafeSport program and have increased requirements for 2018. If you took the course in 2017 or earlier you are now required to take the NEW course on or before, December 31, 2018. New Platform- Shorter Course, easier to navigate, less time!!! Are you a current Instructor or Race Official? if you have Instructor or Race Official Certification at any level and are due for renewal in 2018, you will need to take the SafeSport Course prior to renewing your certification. Want to learn more about the SAFESPORT Initiative? Visit the US Sailing website. If you took the course in 2017 or earlier, you are required to take the course again on or before December 31, 2018. Unfortunately, the New USOC SafeSport Site is not integrated and earlier information and results did not migrate over to the new platform. For this reason, you may need to clear your cache before registering as your previous login information will not be recognized. 3. On the next screen, you will see some of your US Sailing account information uploaded. Make sure you check off the box certifying you are the person associated to the Member ID. 5. You will be prompted to Check your Email account to confirm. 6.Click on “Confirm Email Address” and proceed to the next step of Registration. At the bottom of the page you will have options to select from: Administrator, Athlete, Coach, Official, Parent or Volunteer. Choose one- the USOC system is not set up to distribute information accordingly at this time. Next, If your page Shows the US Sailing Logo Hit SAVE You will be directed to the SafeSport Dashboard or landing page - select any one of the Buttons to begin. Your next step will be to Add Membership and click on the +. 11. You will be directed to the SafeSport Dashboard - select any of the to begin the Training.